Backcountry Edge, an industry leader in Camping Gear, receives a best-in-class 5-star rating from TopConsumerReviews.com. We're very pleased to receive TopConsumerReviews.com's highest rating... We appreciate being recognized for building a successful online store that leads the pack in selection, price, and customer friendliness. TopConsumerReviews.com recently awarded their highest five-star rating to Backcountry Edge, the industry leader in Camping Gear. Camping allows people to enjoy nature, relax, spend time with family and friends, exercise and have fun. But finding quality camping gear at competitive prices can be a time-consuming and frustrating experience. Shopping online allows the camping enthusiast to consider a huge selection of top quality camping brands in a variety of sizes, shapes, and prices without leaving the comfort of their home. There's no need to drive across town to hunt through a limited selection of camping equipment with high markups. With just a few clicks of the mouse, a person can quickly find exactly what they’re looking for. To find out more about Backcountry Edge and other camping gear stores, including reviews and comparison rankings, please visit the Camping Gear category of TopConsumerReviews.com at http://www.topconsumerreviews.com/camping-gear/. Backcountry Edge, Inc. is a family owned operation located in Pennsylvania's Susquehanna Valley. We're a rapidly growing company specializing in quality hiking and backpacking gear. We've built our reputation on the highest standards of honesty and integrity. At Backcountry Edge, we take great pride in providing our customers with outstanding service. TopConsumerReviews.com, LLC is a leading provider of independent reviews and rankings of hundreds of consumer products and services. From debt relief programs and home gyms, to mortgage refinance and payday loans, TopConsumerReviews.com delivers in-depth product evaluations in order to make purchasing decisions easier. 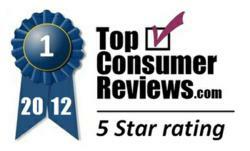 TopConsumerReviews.com is a leading provider of independent reviews for hundreds of products.